Book & Pattern only orders will be sent Media Rate when available. We're delighted to bring you a second book by Yukari Takahara. While it is a standalone book of many applique/pieceing/embroidery patterns and designs, those who bought her first book would likely enjoy this as a companion or follow up book. Yukari Takahara is a teacher, designer and shop owner in Japan. 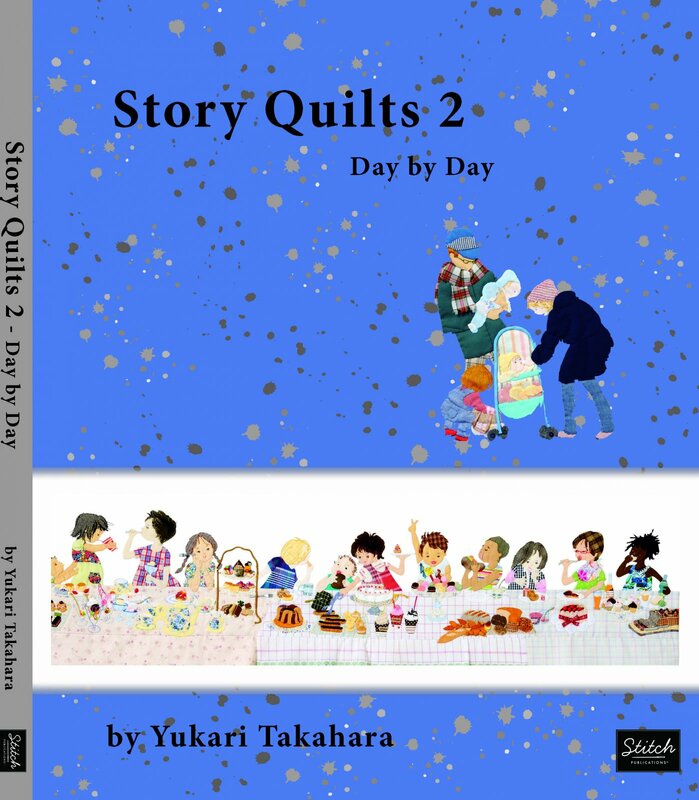 In her second Story Quilts book she gives many more appliqué designs, quilting projects, and ideas across 23 different areas. These include animals, school life, about town and Christmas. She will continue to wow everyone with her unique story-based quilts of things from her life. Each appliquéd and quilted example is followed by the pattern. Readers are encouraged to create their own designs although they will love the ideas and patterns in the book. This book as well has some basic techniques and ideas on customizing andy design with embroidery and embellishments.